By Xah Lee. Date: 2008-01-30 . Last updated: 2017-05-20 . The image is copyright © 2008 by Xah Lee. I hereby grant anyone to use this logo, provided that the source is acknowledged. 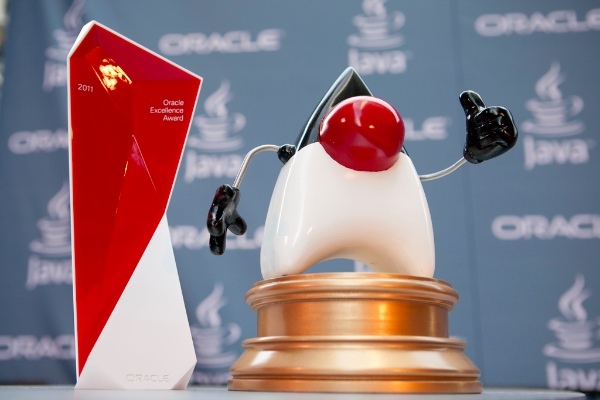 Java is a trademark of Sun Microsystems Inc (now Oracle). Xah's Java logo is NOT Java owner's logo, and is not endorsed or connected with its owner in any way. For comparison, here are the official Java logos. The official Java logo, 1996 to 2003. The new logo simplified the original design to a few solid strokes, perhaps to reduce the associated complexity of Java.